The summer of 1889 is the one between childhood and womanhood for Amelia van den Broek—and thankfully, she’s not spending it at home in rural Maine. She’s been sent to Baltimore to stay with her stylish cousin, Zora, who will show her all the pleasures of city life and help her find a suitable man to marry. With diversions ranging from archery in the park to dazzling balls and hints of forbidden romance, Victorian Baltimore is more exciting than Amelia imagined. But her gaiety is interrupted by disturbing, dreamlike visions she has only at sunset—visions that offer glimpses of the future. Soon, friends and strangers alike call on Amelia to hear her prophecies. Newly dubbed "Maine’s Own Mystic", Amelia is suddenly quite in demand. However, her attraction to Nathaniel, an artist who is decidedly outside of Zora's circle, threatens the new life Amelia is building in Baltimore. This enigmatic young man is keeping secrets of his own—still, Amelia finds herself irrepressibly drawn to him. And while she has no trouble seeing the futures of others, she cannot predict whether Nathaniel will remain in hers. 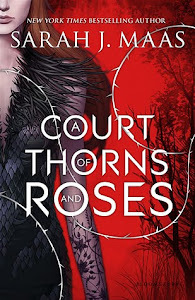 When one of her darkest visions comes to pass, Amelia's world is thrown into chaos. And those around her begin to wonder if she’s not the seer of dark portents, but the cause. 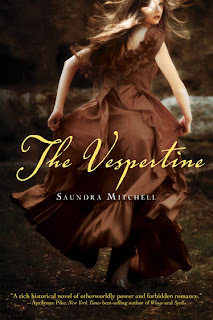 Vespertine takes place in 1889 and much to my surprise, it is written in the language of the time and not in modern language.It added to the whole atmosphere and mystique of the era but for me it was a bit tiring and confusing.Don't get me wrong, the book was brilliantly written, it just that sometimes I found it chaotic and because of that, the story wasn't as fluid as it should be,in my opinion. Characters were all very likeable,but a bit underdeveloped.Amelia had this amazing gift of seeing the future but unfortunately I didn't see much of it,and what I did see was treated so lightly by Amelia herself,that I didn't feel the need to regard it as an integral part of the story.Her romance with Nathaniel was believable enough.However, why he also had to have a "gift",which is only revealed near the end, I still don't know.I guess that is the main reason why I felt that the story,however nice,dragged for no reason, since it could have very easily been 100 pages shorter. 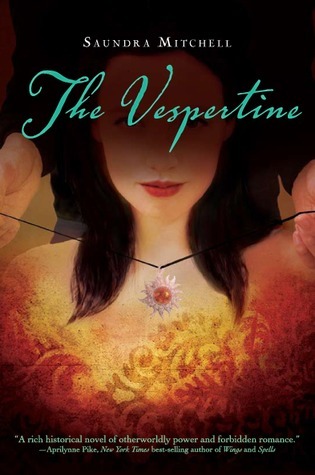 Vespertine is an eloquently written book with,unfortunately, not much of a story in it.